#2 – Do you need an X-Ray – if yes we offer on-site digital X-Ray for reasonable costs. #3 – Do you need an MRI – if Yes we have referral facilities for lower cost cash or insurance rates. #4A – Does Dr. Heilman offer the best treatment for your injury and what are the other options? #4B – If we do not provide that treatment: what is the appropriate referral? #5 – Is the treatments offered here Safe or will they be effective for you? #6 – How much it will the treatment cost? Will insurance cover your treatment? 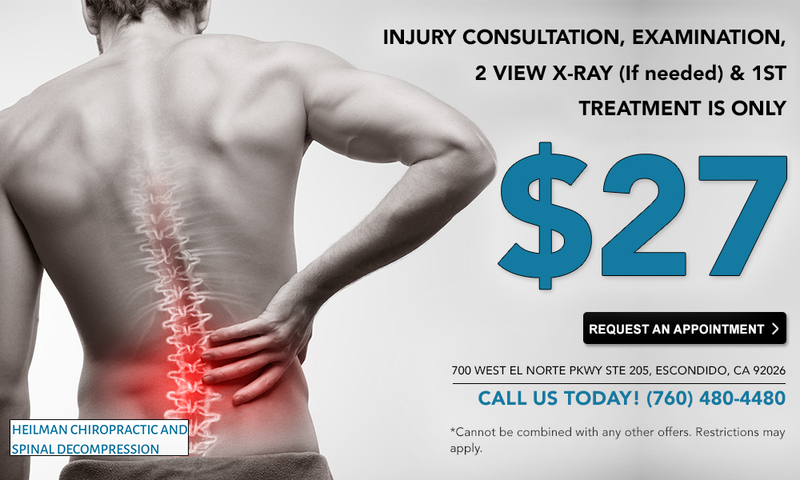 Call (760) 480 – 4480 to get your Neck pain or Back pain Evaluation! Consultations are Always Free!